Previously, I’ve reviewed the brunch at XS and had an amazing experience. Since then I decided to go back and try some of the other things they offer. Their menu has a little bit of everything like sushi, Asian Food and American Food. On this visit, my friends and I were interested in trying a few different items to really get a feel of their menu. We started the meal with an order of the Edamame which was your typical appetizer before sushi. The edamame was good, but nothing to write home about. Next up, we tried the Vegetable Gyoza. You can order these fried or steamed, we opted for steamed and they did not disappoint. The outside was warm and doughy while inside the veggies were not dried out and they came with a wonderful dipping sauce. One of my dining companions decided to try something more American for her meal and opted for the Grilled Cheese. The restaurant offers a build your own grilled cheese and you choose a type of bread, a type of cheese and any toppings you want. My friend opted for the standard cheddar cheese on bread but she enjoyed it. With her grilled cheese, she ordered a side of Waffle Fries that the table shared. The fries were nice and flavorful, but again, nothing spectacular. Then my other friend ordered the Chicken Pad Thai for her main course. She loved this, the dish had a ton of heat and flavor and the noodles were cooked well. In addition, the chicken was also moist and flavorful instead of dried out. I haven’t had a ton of pad thai, but this was easily the best one I’ve ever had. I was craving sushi so I decided to order my favorite roll, Spicy Tuna with Avocado. The sushi was great, tons of fish and not overpowered by rice. We all got something a little different and that’s what’s great about XS because it doesn’t matter what you’re in the mood for, there’s a little bit of everything and it’s all executed well. 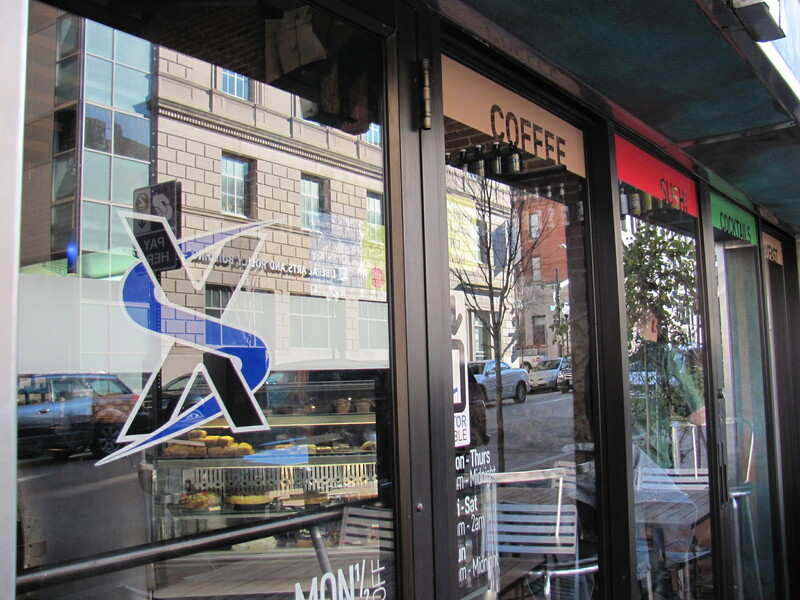 XS is located at 1307 N Charles St., in Mount Vernon.